Save 10-25% at Macy’s Southgate, be entered for a chance to win a $500 shopping spree? Help the Historical Society receive $5? $10? $15? Is this a win-win of HISTORIC proportions? you’ve already saved MORE than your HSoSC Shopping Pass cost! And just imagine if you or a friend wins the $500 Shopping Spree! Macy’s Shop For A Cause On Saturday, August 25, 2012, Macy’s will host its 7th annual Shop For A Cause benefiting charities nationwide. 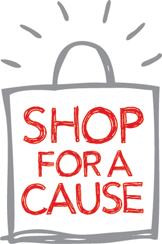 Since 2006, Shop For A Cause has raised more than $42 million for charities across the country. This exclusive shopping pass includes 25% or 10% off regular, sale and clearance purchases all day. I’ve got my Shop for a Cause pass… and I’ll see you at Macy’s Southgate Saturday August 25!